Let the Wellness Institute help you throw a fun, active party for your children! Parties include time on the gym floor with a selection of equipment for up to 15 kids (including the party boy or girl). 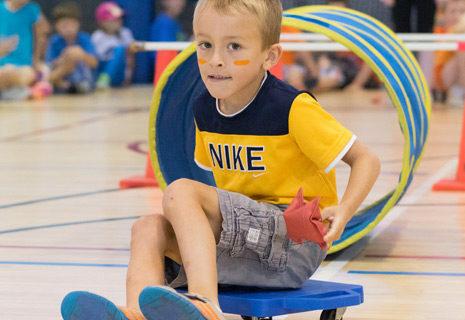 Build an obstacle course, organize a sports challenge, create your own party games or let the kids just play, Finish with presents in the party room with up to 25 added guests. Note: Additional time in the party room is based on availability. A deposit of 50% is required to confirm booking. Parties do not include a party host, organized activites or food. Maximum of 40 total guests. We recommend booking one to two months in advance.